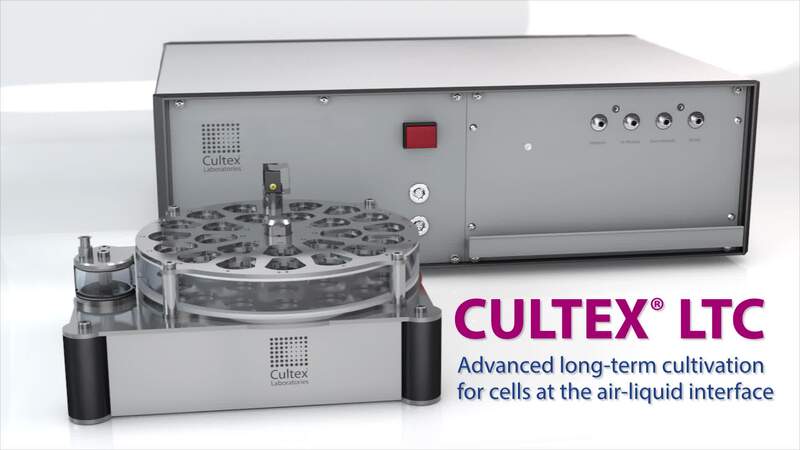 The CULTEX® LTC-C (LongTermCultivation – Continuous) was designed to automatically supply cell cultures with medium at different time intervals over longer periods of time (weeks). 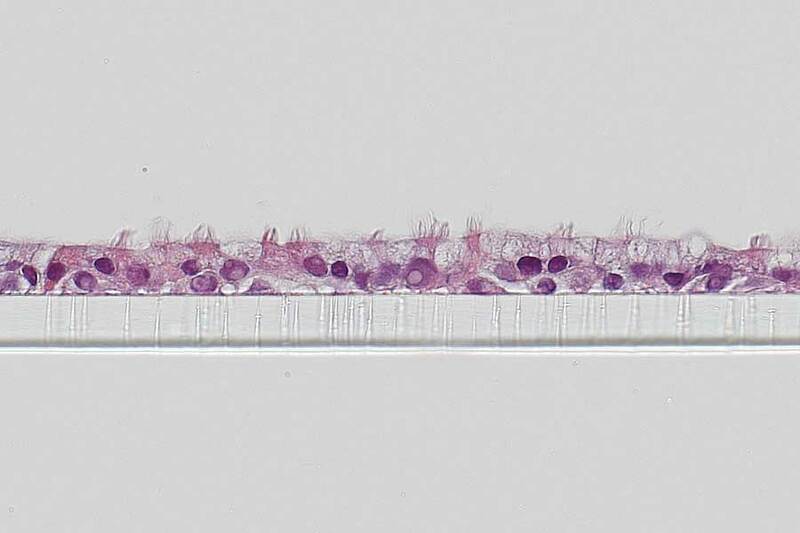 In such a way epithelial cells of the respiratory tract, for example, can be used for toxicological studies both in an undifferentiated and differentiated stage of cell development. Medium exchange as well as medium agitation and mixing are computer-controlled to avoid staff-dependent variations during the cultivation process. 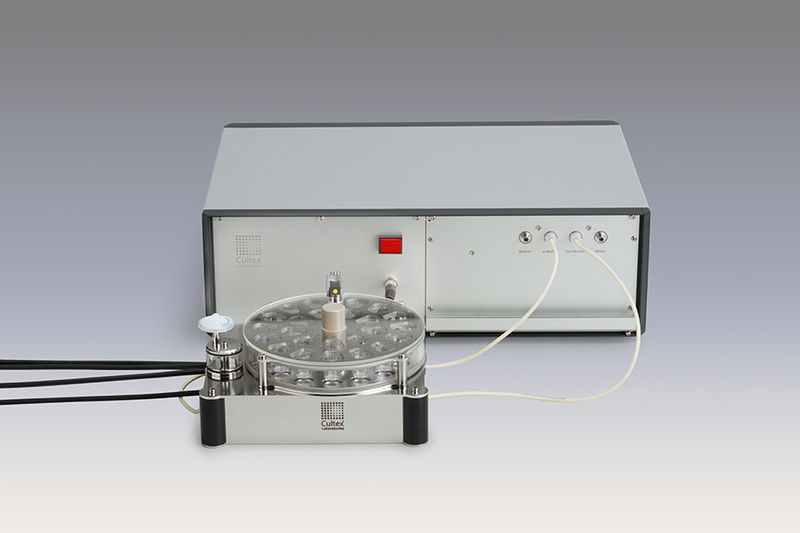 The equipment consists of the incubator module and a supply unit, which can be operated under cell-specific conditions in a CO2 incubator. 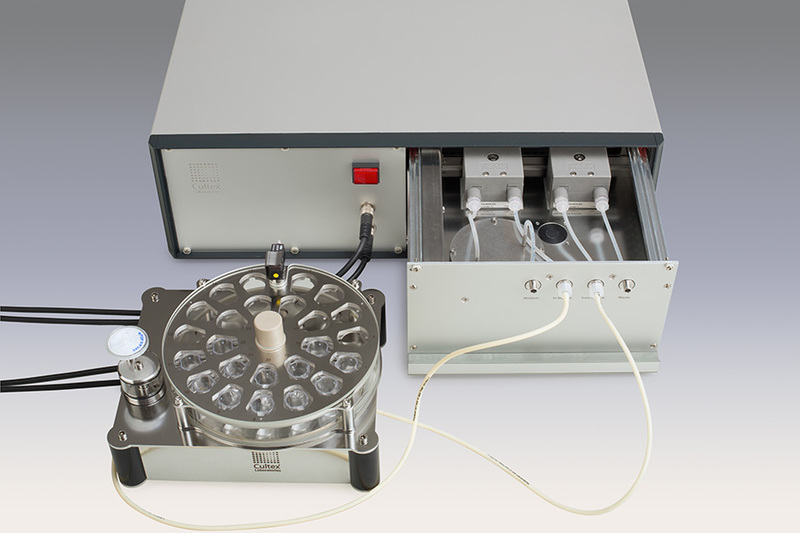 The incubator module can hold up to 24 cell culture inserts (e.g. COSTAR® or FALCON®, size 12 mm) and is connected to the control unit via two tubes and two electric connector cables. The control unit is placed outside the CO2 incubator. Integrated in the control unit, there is a programmable logic controller (PLC) as well as a pump for the supply of medium to the incubator module and a pump for the removal of the medium. The pumps are located inside the control unit in a sliding cassette, the LH module (LH = Liquid Handling), where they are easily accessible for maintenance and sterilization. The control unit is equipped with an integrated web server. Visualization of the procedures and measured data is carried out by a web browser, e.g. via a laptop computer. The controls can also be accessed via the web browser, to change settings, for instance. The computer itself does not carry out any control tasks, whereby the management of the cell cultures continues even if the computer operating system breaks down. 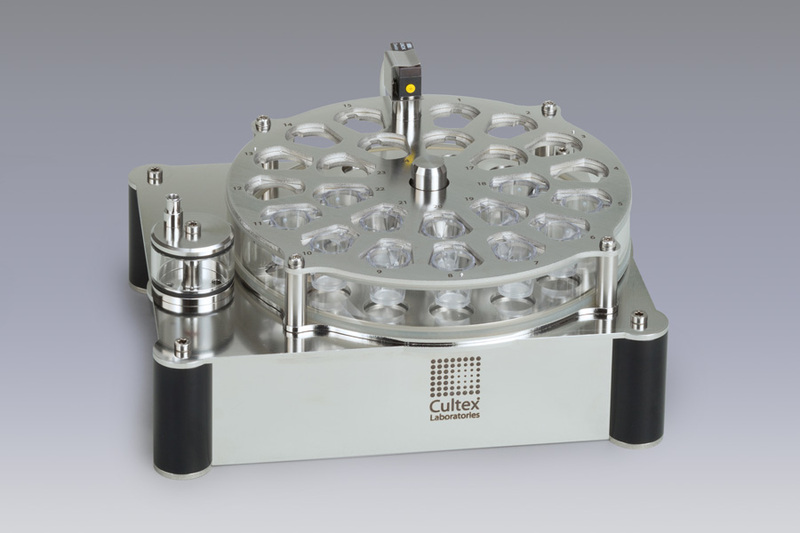 The fully automated CULTEX® LTC-C requires less manual work compared with standard cell culture work, saves manpower and removes the individual influence of the worker. 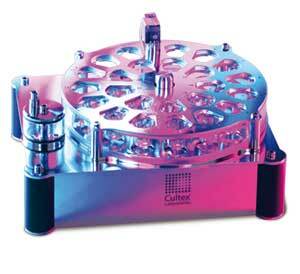 The incubator module hold up to 24 cell culture inserts (e.g. control unit via two tubes and two electric connector cables. cell-specific conditions in a CO2 incubator. The sample uptake module has a medium in-and outlet. 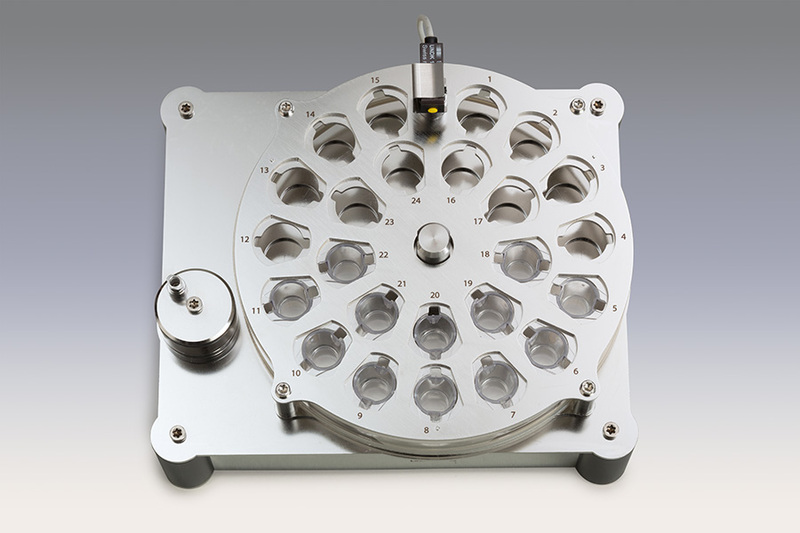 A motorized mixing disc at the base of the supply module ensures a homogenous mixture of existing and fresh medium after a partial medium change. The control unit, equipped with an integrated web server, is located outside the incubator. Integrated is a programmable logic controller (PLC), a pump for the supply of medium to the incubator module and one for the removal of the medium. The pumps are incorporated inside the control unit in a sliding cassette, the LH module (LH = Liquid Handling). The main components of the LH module are the two pumps for medium supply and removal. The heat exchanger (preheating of the fresh medium to 37°C). Control by two redundant temperature sensors and an excess pressure valves guarantees trouble-free operation. The leakage sensor. All medium-carrying components can be autoclaved. Visualization of the procedures and measured data is carried out by the web browser, e.g. via a laptop computer. The controls can also be accessed via the web browser, to change settings, for instance. The computer itself does not carry out any control tasks, whereby the management of the cell cultures continues even if the computer operating system breaks down. Operation of up to 4 modules with one control unit by using a web browser (JAVA plugin). The main window supplies the most important information on current and/or pending process steps and offers direct access to all secondary windows for further adjustment.